I used the green and white dotted leaf from my kit here,fold diagonally both ways and cut on the diagonals to form 4 triangles. Pleat the leaf from the lower corner to corner and bring both side down to fan out the leaf.Apply glue to stick ends in place. See detailed demo in video below. 2. Fan out the 4 pointed trainlge to form a star like flower. 4. Flip the flower and twist the center firmly pressing down. 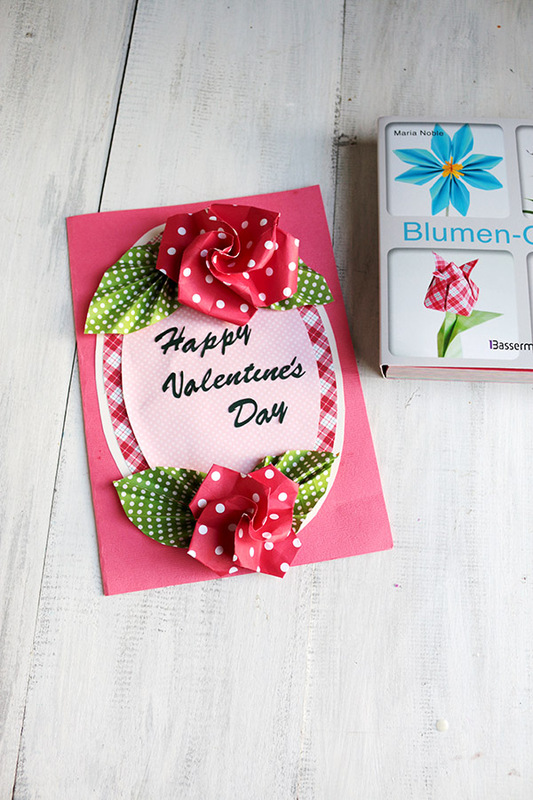 5.Adjust flowers by tweaking the "petals"
2.Using cricut cut 3 consecutively smaller ovals each slightly smaller than the other. 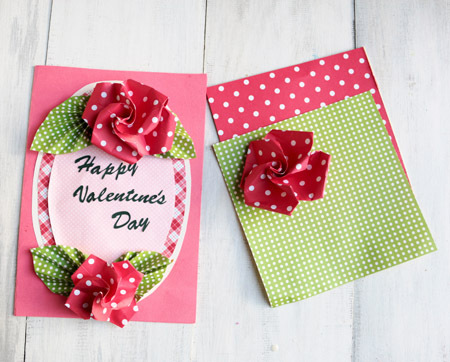 3.Layer the ovals and stick onto the card. place the leaves on top and bottom. 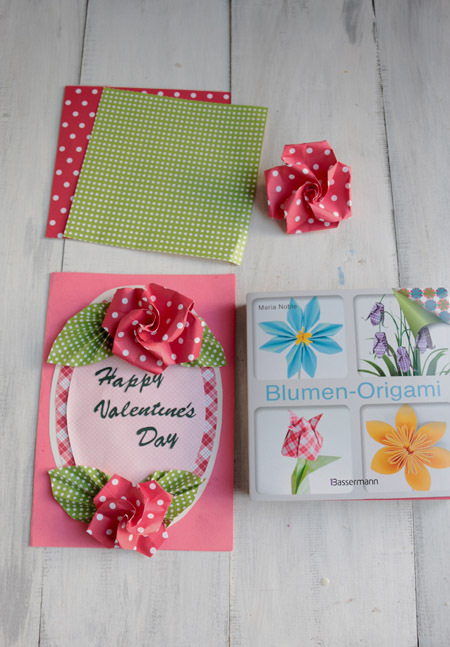 5.Create a smaller origami rose using a smaller paper and repeat all steps to create the origami rose. to use for cardmaking and typography so here is a small preview of my work and I hope to be posting on my recommendations to learn calligraphy in my next post! Leave me a coomment if you have any suggestions! Remembering today all those loved one who pass away in drunk driving accidents.. Peace and God Bless! 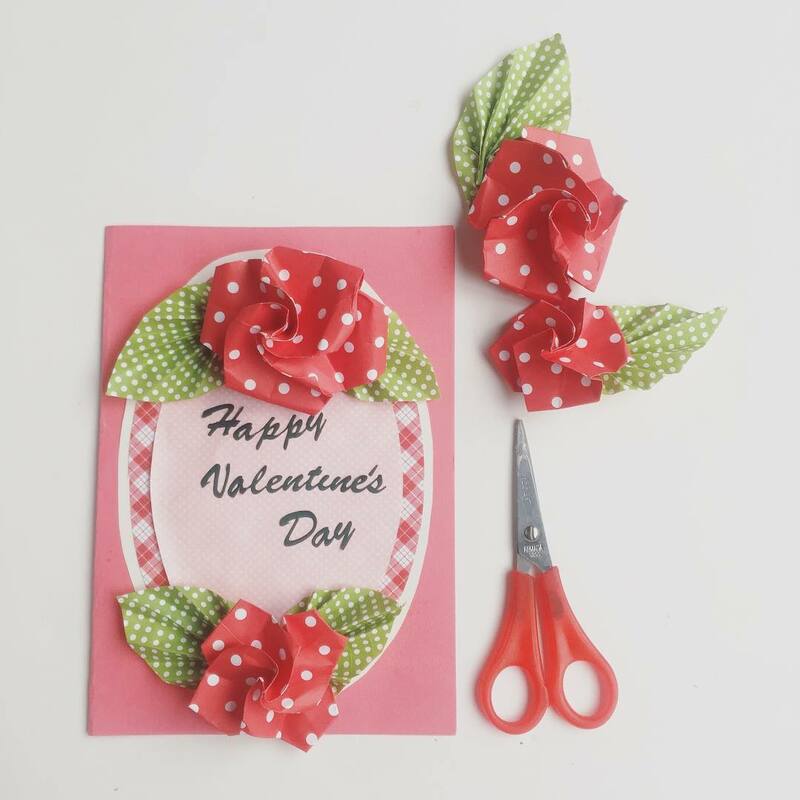 I love origami roses and everything about them. really enjoyed this and i'm glad you make this effort for the folk who reads your blog posts.stay awesome and smile more!! !